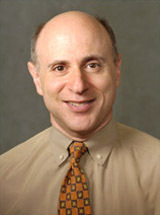 Dr. Frank is employed by Penn Medicine. Buggert M, Nguyen S, Salgado-Montes de Oca G, Bengsch B, Darko S, Ransier A, Roberts ER, Del Alcazar D, Brody IB, Vella LA, Beura L, Wijeyesinghe S, Herati RS, Del Rio Estrada PM, Ablanedo-Terrazas Y, Kuri-Cervantes L, Sada Japp A, Manne S, Vartanian S, Huffman A, Sandberg JK, Gostick E, Nadolski G, Silvestri G, Canaday DH, Price DA, Petrovas C, Su LF, Vahedi G, Dori Y, Frank I, Itkin MG, Wherry EJ, Deeks SG, Naji A, Reyes-Terán G, Masopust D, Douek DC, Betts MR: Identification and characterization of HIV-specific resident memory CD8 T cells in human lymphoid tissue Sci Immunol 3 (24): 2018. Kolomeyer AM, Murphy KM, Traband A, Frank I, Kim BJ: BETA-D-GLUCAN TESTING IN PATIENTS WITH FUNGAL ENDOPHTHALMITIS Retina 38 (4): 650-659,2018. Meyers K, Rodriguez K, Brill AL, Wu Y, La Mar M, Dunbar D, Koblin B, Margolis D, Sobieszczyk ME, Van Tieu H, Frank I, Markowitz M, Golub SA: Lessons for Patient Education Around Long-Acting Injectable PrEP: Findings from a Mixed-Method Study of Phase II Trial Participants AIDS Behav 22 (4): 1209-1216,2018. Abdel-Mohsen M, Kuri-Cervantes L, Grau-Exposito J, Spivak AM, Nell RA, Tomescu C, Vadrevu SK, Giron LB, Serra-Peinado C, Genescà M, Castellví J, Wu G, Del Rio Estrada PM, González-Navarro M, Lynn K, King CT, Vemula S, Cox K, Wan Y, Li Q, Mounzer K, Kostman J, Frank I, Paiardini M, Hazuda D, Reyes-Terán G, Richman D, Howell B, Tebas P, Martinez-Picado J, Planelles V, Buzon MJ, Betts MR, Montaner LJ: CD32 is expressed on cells with transcriptionally active HIV but does not enrich for HIV DNA in resting T cells Sci Transl Med 10 (437): 2018. Fong Y, Shen X, Ashley VC, Deal A, Seaton KE, Yu C, Grant SP, Ferrari G, deCamp AC, Bailer RT, Koup RA, Montefiori D, Haynes BF, Sarzotti-Kelsoe M, Graham BS, Carpp LN, Hammer SM, Sobieszczyk M, Karuna S, Swann E, DeJesus E, Mulligan M, Frank I, Buchbinder S, Novak RM, McElrath MJ, Kalams S, Keefer M, Frahm NA, Janes HE, Gilbert PB, Tomaras GD: Modification of the Association Between T-Cell Immune Responses and Human Immunodeficiency Virus Type 1 Infection Risk by Vaccine-Induced Antibody Responses in the HVTN 505 Trial J Infect Dis 217 (8): 1280-1288,2018. Tsima B, Ratcliffe SJ, Schnoll R, Frank I, Kolson DL, Gross R: Is Tobacco Use Associated with Neurocognitive Dysfunction in Individuals with HIV? Journal of the International Association of Providers of AIDS Care 17 : 2325958218768018,2018. Elizaga ML, Li SS, Kochar NK, Wilson GJ, Allen MA, Tieu Hong VN, Frank I, Sobieszczyk ME, Cohen KW, Sanchez B, Latham TE, Clarke DK, Egan MA, Eldridge JH, Hannaman D, Xu R, Ota-Setlik A, McElrath MJ, Hay Christine M: Safety and tolerability of HIV-1 multiantigen pDNA vaccine given with IL-12 plasmid DNA via electroporation, boosted with a recombinant vesicular stomatitis virus HIV Gag vaccine in healthy volunteers in a randomized, controlled clinical trial PloS one 13 (9): e0202753,2018. Mayer Kenneth H, Seaton Kelly E, Huang Yunda, Grunenberg Nicole, Isaacs Abby, Allen Mary, Ledgerwood Julie E, Frank Ian, Sobieszczyk Magdalena E, Baden Lindsey R, Rodriguez Benigno, Van Tieu Hong, Tomaras Georgia D, Deal Aaron, Goodman Derrick, Bailer Robert T, Ferrari Guido, Jensen Ryan, Hural John, Graham Barney S, Mascola John R, Corey Lawrence, Montefiori David C: Safety, pharmacokinetics, and immunological activities of multiple intravenous or subcutaneous doses of an anti-HIV monoclonal antibody, VRC01, administered to HIV-uninfected adults: Results of a phase 1 randomized trial PLoS medicine 14 (11): e1002435,2017. Li SS, Kochar NK, Elizaga M, Hay CM, Wilson GJ, Cohen KW, De Rosa SC, Xu R, Ota-Setlik A, Morris D, Finak G, Allen M, Tieu HV, Frank I, Sobieszczyk ME, Hannaman D, Gottardo R, Gilbert PB, Tomaras GD, Corey L, Clarke DK, Egan MA, Eldridge JH, McElrath MJ, Frahm N; NIAID HIV Vaccine Trials Network: DNA Priming Increases Frequency of T-Cell Responses to a Vesicular Stomatitis Virus HIV Vaccine with Specific Enhancement of CD8+ T-Cell Responses by Interleukin-12 Plasmid DNA Clinical and Vaccine Immunology 24 (11): e00263-17,2017. Gulick RM, Wilkin TJ, Chen YQ, Landovitz RJ, Amico KR, Young AM, Richardson P, Marzinke MA, Hendrix CW, Eshleman SH, McGowan I, Cottle LM, Andrade A, Marcus C, Klingman KL, Chege W, Rinehart AR, Rooney JF, Andrew P, Salata RA, Siegel M, Manabe YC, Frank I, Ho K, Santana J, Stekler JD, Swaminathan S, McCauley M, Hodder S, Mayer KH: Safety and Tolerability of Maraviroc-Containing Regimens to Prevent HIV Infection in Women: A Phase 2 Randomized Trial Annals of internal medicine 167 (6): 384-393,2017.